Mo Stewart, an Independent disability studies researcher and fellow of the Centre for Welfare Reform, sent a letter to the Guardian newspaper last week to acknowledge the tenth anniversary of the adoption of the Work Capability Assessment (WCA) by the Department for Work and Pensions (DWP), as used to resist funding the Employment and Support (ESA) long-term sickness and disability benefit to those in greatest need. Influenced by corporate America, the deplorable treatment by the DWP of chronically ill and disabled people, who live in fear of the WCA, is well documented and the Guardian had published letters in the past on the same subject yet failed to acknowledge this significant anniversary and failed to publish the letter. Co-signed by over 80 individuals made up of doctors, academics, charities, carers, campaigners, journalists and researchers along with other members of the public, it is cause for concern that the Guardian would fail to publish this most important of all letters. Is this ongoing scandal becoming too politically sensitive, hence the Guardian’s refusal to publish? 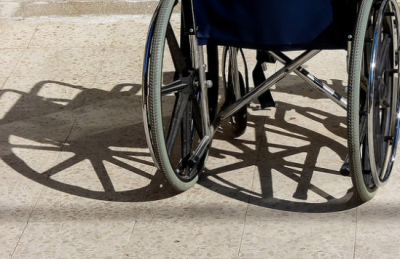 Mo Stewart’s research over the past ten years has exposed the fact that successive UK governments adopted a disability denial assessment model, co-designed by the second worst healthcare insurance company in America. The WCA is used to deny genuine claimants access to desperately needed financial support, with links to thousands of deaths and a disturbing increase in suicides linked to the fatally flawed WCA which disregards diagnosis, prognosis and the past medical history of the ESA claimant. The overall objective of this government-backed project is truly alarming. As official government advisers for welfare claims management, a notorious American healthcare corporation has been covertly influencing UK social policy since 1994, with the final goal being the planned demolition of the welfare state to be replaced with an American style private healthcare insurance backed system. A more in-depth report, written by Mo Stewart for TruePublica can be READ HERE. The contents should shock anyone mainly because of the numbers of deaths involved as successive UK governments reject the welfare state, adopt American social policy, and watch as the entire national press resist identifying this American corporate influence with UK social policy. The rejected letter to The Guardian is reproduced here. The identified government hostility against disabled people isn’t disputed (disabled people facing government hostility in the UK, theguardian.com, 11th May), yet there has been little mention of the consequences, with disability hate crimes climbing by 213%, and a link to the Work Capability Assessment (WCA) with a vast increase in suicides. Five years of rhetoric by the Department for Work and Pensions (DWP) during the coalition government’s term in office was successfully used to belittle chronically ill and disabled people who claimed the Employment and Support Allowance. To access the benefit, claimants are obliged to endure the fatally flawed WCA, which disregards diagnosis, prognosis and past medical history. Death was always inevitable for thousands of people. Introduced by the DWP in October 2008, the WCA was created following research funded with £1.6million by America’s second largest health insurance giant, who were advisers to the British government on ‘welfare claims management’ since 1994. To date Coroner’s Inquests, the British Medical Association, the Royal College of General Practitioners, the British Psychological Society, MIND and the Work and Pensions Select Committee have all deemed the WCA to be ‘unfit for purpose’. The DWP disregard all official reports not commissioned by them, demonstrating the preventable harm created by the WCA as used to guarantee that the psychological security of the welfare state would be destroyed to make way for the eventual adoption of private healthcare insurance to replace the welfare state; as all planned since 1982. October 2018 is the tenth anniversary of the adoption of the WCA. When will it be stopped?